The single novel of Emily Bronte earned a great fame for its creator. This book was not appreciated immediately because of its stark description and flaming feelings, but afterwards, it was appreciated by critics as well as readers. Now it is regarded as a classic of English literature. 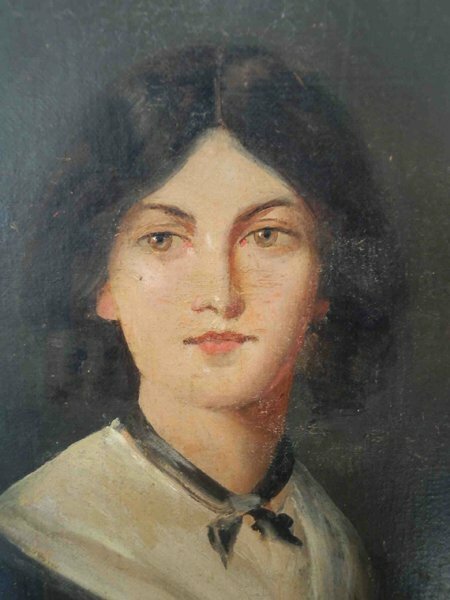 Emily Bronte was born in Thornton, West Riding of Yorkshire , on the 30 July 1818 in the family of a priest. Emily was the 5th child in the poor family. In total, there were six children, but two elder sisters and the mother of Emily died and Emily was inseparable from the sister Charlotte and her brother Branwell. The friendly family lived in the wilderness and did not communicate with anyone. Emily did not have a possibility to study regularly. She learned in snatches: she studied in the Clergy Daughters’ School in Cowan Bridge at the age of 6, then three months she spent in the Roe Head Girls’ School. Mainly the father dealt with her education. Mr. Bronte accustomed his children to reading and analysis of what was read, he discussed various topics with them. Emily was a homegrown, quiet and religious young woman. She was not very sociable and she did not have friends. 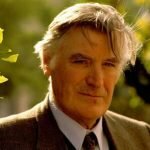 Stoicism and adherence to strict routine in life were intrinsic to her character. In the 1838, she joined the Miss Patchett’s School situated near Halifax, as a teacher and after working there for a few months, she left the job. In the 1842, together with her sister she went to Brussels. There she studied French and wrote “Belgian essays”. Sometime later, she returned to Haworth and never left it again. In September 1848, Emily was away in the funeral of the brother, she caught a terrible cold, but did not want to be treated. According to her beliefs, one had to submissively take everything that was sent from on high. She died from consumption on the 19th of December, 1848. The grave of Emily Bronte is located in the family vault in the Church of St. Michael and All Angels, Haworth, West Yorkshire. The house of the writer has been converted into the Bronte Parsonage Museum, where the literary works of talented sisters are kept. In the 1845, Charlotte Bronte completely accidentally discovered several Emily`s poems; thus, it turned out that all the sisters Bronte had inclinations towards literature. 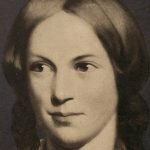 A year later, Charlotte and Emily Bronte used a pen name to create and publish a joint collection of poems “Poems by Currer, Ellis and Acton Bell”. It is curious, only two copies of Charlotte and Emily Bronte poems were sold from the entire edition. In the middle of the 1847, the London publisher Thomas Cautley Newby accepted Emily’s novel “Wuthering Heights” for its edition. This novel was first published under the pen name of Emily Bronte, which was Ellis Bell till its edition of the 1850. The novel of Emily Bronte saw light together with “Jane Eyre” by Charlotte and “Agnes Grey” by Anne Bronte; as a result, the major success fell to the lot of “Jane Eyre”. 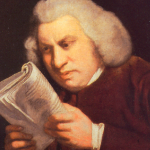 As for “Wuthering Heights”, Emily’s novel was really estimated only in the ХХth century. 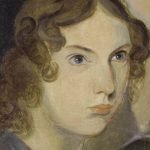 Why did Emily Bronte use a pen name? When the Bronte sisters published their poems in a single volume in 1846, none of them used her real name. Instead, they named themselves Currer, Ellis, and Acton Bell. Ellis Bell was Emily Bronte’s pen name (like her sisters, she preserved the initial unchanged). The reason why they adopted pseudonyms was pretty simple – in the 1840s, women authors were not taken as seriously as men. Such a move wasn’t unusual for the time – Mary Anne Evans, the author of Middlemarch (1871–72) and other well-known novels, published her works under the name of George Eliot. Even the “mother” of Harry Potter, who lives in by far less gender-biased world, initially used gender-neutral or masculine pen names for both of her most popular books. Emily’s only novel, Wuthering Heights, was initially published under the same pen name in 1948. Two years later, it was published under her real name. the novel Wuthering Heights is considered by far more complex and deeper than Charlotte Bronte’s Jane Eyre. While the two novels were published at the same time, Jane Eyre was an instant success because it was easier to understand. Wuthering Heights was truly estimated only in the ХХth century.